On Wednesday 28th January a first meeting of the “Airhead Society” was held on nb Valerie at Cowroast Marina and later at the Greyhound Inn at Wiggington in Hertfordshire. Present were: Sue and Ken of nb Cleddau, Jaq and Les of nb Valerie, Carol and George of widebeam Still Rockin’, Jennie and Chris of nb Tentatrice. There was one major agenda item: sourcing of cocoa shell (dessicant) for the solids containers. Carol (Still Rockin’) was able to provide useful information on a cocoa shell provider. It was in the Spring of 2010 that the Cleddau crew replaced the porta-potti on the boat with a composting Airhead toilet. Unlike a conventional porta-potti this toilet system, developed in America for leisure boats at sea and on lakes, separates liquids from solids and requires no water. First reference to it on the Boatwif blog was way back in June 2010. No more stomach wrenching chemicals, no more heavy containers to deal with and no more lingering odours. 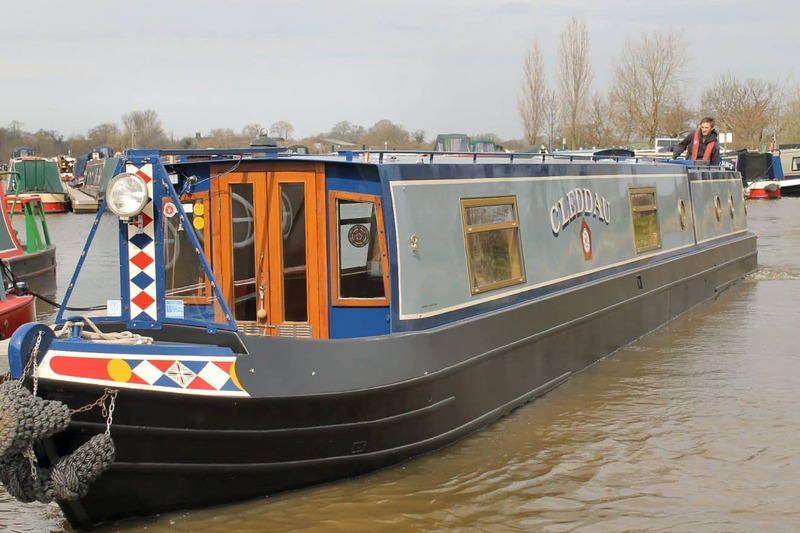 That summer, 301 miles after leaving Adlington in Cheshire, Cleddau arrived in Bedford. Here was the next reference to the Airhead. “This loo technology is the same as on the space shuttle,” a boat visitor (the Academic) had proclaimed, while another visitor, the Biologist, had enthused about dry toilet technology in developing countries. A novelty to visitors, it had become a welcome improvement to Cleddau’s onboard facilities. As a breed boaters talk about toilets. Cassette versus pump out, tank capacities, blockages, either on their boats or at pump out facilities, unwanted aromas, use of chemicals … there is a lot to contemplate. Five years ago few boaters were even aware of the Airhead toilet product. At some point, via continuous cruiser Sue of nb Retirement with No Problem, a long distance exchange began between the Cleddau crew and Jaq, a distant reader of boaters’ blogs. Though living in the far north west of the USA Jaq had developed a deep fascination for canals and boats. What was this composting loo she’d read about via Retirement with No Problem’s blog , she wanted to know. A flurry of emails answered her query and a long distance friendship developed. Time passed. And then came the tale of Jaq finding love with Les, he a boater in the UK, she five thousand miles away in Washington State. In June 2011 Jaq married Les and in due course she too became a boater. Many a time Chris and Jennie have crewed on Cleddau as Relief Captain and Relief First Mate. “When we get a boat…” had often featured in their conversation. Come 2013 nb Tentatrice was commissioned, and the build instructions included an Airhead composting loo… This was a choice borne out of much personal experience. Can you please inform me of your source of the Cocao Bean mulch. Evelyn, we used to get our crushed cocao shells from Seasons Garden Centre at Wilstead http://www.seasonsgardencentre.co.uk but they currently have none in stock. Stock is reported at Brookside Nursery in Ackrington http://www.brooksidenursery.com they use mail order. Finally Leighton Garden Centre http://www.leightonbuzzardgardencentre.co.uk is reported to stock crushed cocao shell.